One of the most important aspects of the website analysis process is to outline the user’s needs. Some people claim that users are the most important part of any website. Our team believes that is true. As a result, “usability” should be the main focus. Jakob Nielsen, for instance, who has been called “the king of usability“, mentions that “usability is a quality attribute that assesses how easy user interfaces are to use“. Due to the nature of our website, WellComm, Thinking Allowed, and I believe that not only should snacktivitymom.com be totally usable, but it also should include aesthetic elements, such as step-by-step photo illustrations of the recipes, and video demonstrations featuring our website spokesperson, “The Snacktivator,” doing the actual preparation of the recipes. We also believe that inserting the visual aspect of the recipes will give snacktivitymom.com an advantage over its competitors, most of whom only list the recipes in text. Furthermore, we plan to address different strategies with snacktivitymom.com, and develop a sort of hub for monthy snactivity activities for the whole family. Branding is a repeatedly unconscious process which a business utilizes in order to get people to easily remember their products and services over those of competitors. It is sometimes not easy to build a successful brand; however, there are certain strategies that we will employ to achieve the idea of branding snacktivitymom.com. For example, when we analyzed how Richard Simmons branded himself as the lighthearted and lively face of exercise, we realized that one way of branding snacktivitymom.com is to associate fun with the process of making food. Actually, Snacktivities is a way of turning food into something fun and creating snack memories. We believe that this will brand snacktivitymom.com, especially with the notion that Snacktivities is a food-based activity that the whole family can do together. 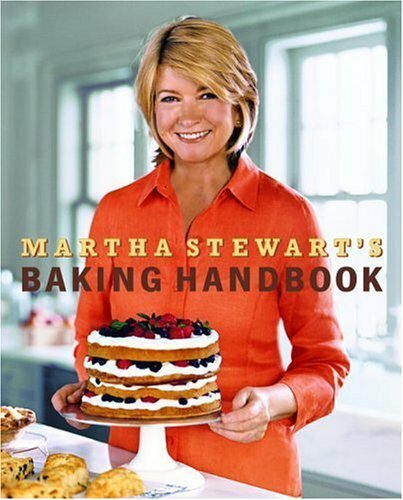 Another example of someone who is really successful in branding themselves is Martha Stewart. If you look closely at her website you will discover that it is really inspirational. Stewart gives clear, step-by-step instructions on how to do her various projects. For the motivated person, her projects – recipes in particular – are doable, but complicated. At Snacktivitymom.com will use Martha Stewart’s strategy of branding herself as the home entertainment maven, but are hoping to evolve our brand to the point that both adults and children will be users who are looking for our services. There also are some people who use a whole different way of branding themselves. For example, Rachael Ray uses her personality to brand her way of cooking. Ray is an astonishing example of success. Obviously, there are many people who love Rachael Ray’s personality. In addition, she always focuses on the idea of making cooking really easy. One of her original concepts is that of recipes that take 30-minute-or-less. That idea helped her catapult her as a spokesperson for easy and fast home cooking. She always focuses on the idea of using materials available in the home to cook a delicious meal. Due to the fact that Snacktivitymom.com recipes will be performed by Deb Berry, (“The Snacktivator”), who has a similarly outgoing personality, and that Snacktivities can be made in a in less than 30 minutes and are really easy, we believe that we have a real advantage here. Snacktivitymom.com could be a brand that compares to those prominent spokespeople in the future. When anyone is attempting to get an Internet website off the ground, representing a high level of professionalism is absolutely fundamental to establishing the required credibility of any website. Snacktivitymom.com is one step ahead of this game since our spokesperson is already someone who is called upon as an expert in family fun from her work with Disney’s Family Fun magazine. Deb has been a consumer journalist for more than 20 years and she is a regular guest on TV shows such as Regis and Kelly as well as a variety of network morning programs, Deb is also, and more importantly, a mom of two growing and happy children. One of the most important approaches is that Snacktivitymom.com offers fun, creative ideas that use predominently healthy food. The site will make it clear that Deb (the Snacktivator) is not a nutritionist or dietician. She is a mom who is hoping to teach her children the importance of making good food choices and understanding portion control, while maintaining the fun and eat ability of all of her recipes. Healthy eating does not have to be boring and does not have to only consist of fruits and vegetables. You can have a little chocolate in there – in moderation. Each of the recipes will include the idea of offering healthy snacks without being obsessive about nutrition. The website will offer healthy options, such as using skim milk in recipes instead of regular milk. Snacktivitymom.com will state directly that Snacktivites focuses on the fun side of making food as a family, rather than claiming to be healthy without presenting expert opinions. Our team hopes that after we are established, we will expand our content to offer articles from nutritionists and doctors to explain how to make snacks and meals healthier and the importance of instilling good eating behaviors in a fun way into our children. Snacktivitymom.com will alert the user of the contents of the food recipes and remind parents and children to be conscious of allergies or special dietary needs when choosing and preparing the recipes. For example, if someone has an allergy to nuts, he/she will be alerted to the presence of nuts in the recipe. If at all possible we will offer substitution suggestions for common allergies such as nuts or dairy. Due to the fact that Deb Berry, the founder of Snacktivitymom.com, and the one who actually creates the recipes, is a contributing editor at Disney’s FamilyFun magazine, has a history of working as a journalist, and appears regularly on national TV, getting the message out about Snacktivitymom.com should be a little easier than some other startups. We will have access to some media outlets that many other websites might not have. Deb will give Snacktivitymom.com a personality and credibility. We plan to feature her prominantly on the website through images, video and biographical information. Also, once the website is up an running, a publicity tour is in the works. In conclusion, Snacktivitymom.com will offer a unique experience to the internet market. The essence of Snacktivitymom.com is to get adults and kids together to create something fun out of food, while teaching healthy habits in an unobtrusive way. It brings the whole family together to learn good cooking and good eating. We believe that whole family will be united by doing the different Snackactivities. Thinking Allowed » Blog Archive » Hey June, How’d You Make That? Copyright © 2019 The World Through My Eyes All rights reserved. Desk Mess Mirrored v1.3 theme from BuyNowShop.com.